We thank you for your interest in “Greek News”, a Greek-American bilingual weekly newspaper. In it you will find news, analysis about the Greek American Community, politics, economy and sports of Greece and Cyprus, and the culture, religion and tradition. Greek News is a newspaper for the whole family. 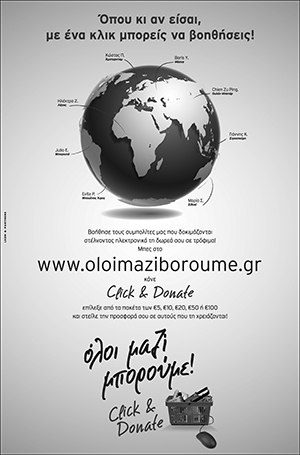 Become a subscriber of the Greek News now. YOU MAY NOW ORDER GREEK NEWS’ PDF EDITION DELIVERED TO YOUR EMAIL SUNDAY EVENING.